With each new clip and screenshot of its indie shooter capturing the hearts and minds of mech lovers around the globe, Adhesive Games further ingratiates its growing fan base with the news that Hawken is coming in December, and it will be free-to-play. Remember back when free-to-play either meant a game was of relatively poor quality or on Facebook? Now we're getting massive mechs doing battle across futuristic landscapes ripped straight from our most elaborate anime dreams. 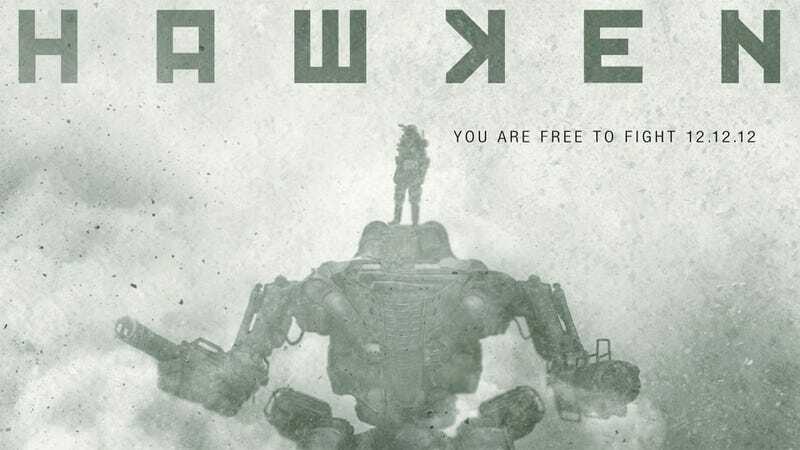 Two trailers for Hawken in one week? It&apos;s like Christmas. In August. This is a trend I can get behind. According to an exclusive story over at VentureBeat, the small team at Adhesive Games will be publishing Hawken as a free-to-play title in December under its Meteor Entertainment division. Adhesive took inspiration for the free-to-play model from the success of Riot Games' wildly popular League of Legends. To which I say whatever, free mechs. The only thing better than free mechs is closed beta access to free mechs, which you can currently sign up for at www.playhawken.com.